Mark Zuckerberg and Priscilla Chan have announced they will give away 99% of their Facebook shares to good causes as they welcomed the birth of their daughter Max. The new father made the announcement in a letter to daughter Max on his Facebook page. Mark Zuckerberg said they are donating their fortune to the Chan Zuckerberg Initiative because they want to make the world a better place for Max to grow up in. The donation amounts to $45 billion at Facebook’s current value. However, the shares will not be donated to charity immediately, but over the course of the couple’s lives. In his letter, the Facebook founder said the aim of the Chan Zuckerberg Initiative is “to advance human potential and promote equality for all children in the next generation”. Chan Zuckerberg Initiative’s initial areas of focus will be personalized learning, curing disease, connecting people and building strong communities. “Your mother and I don’t yet have the words to describe the hope you give us for the future,” Mark Zuckerberg said at the start of his letter to Max. “Many of the greatest opportunities for your generation will come from giving everyone access to the internet,” Mark Zuckerberg wrote to his daughter. 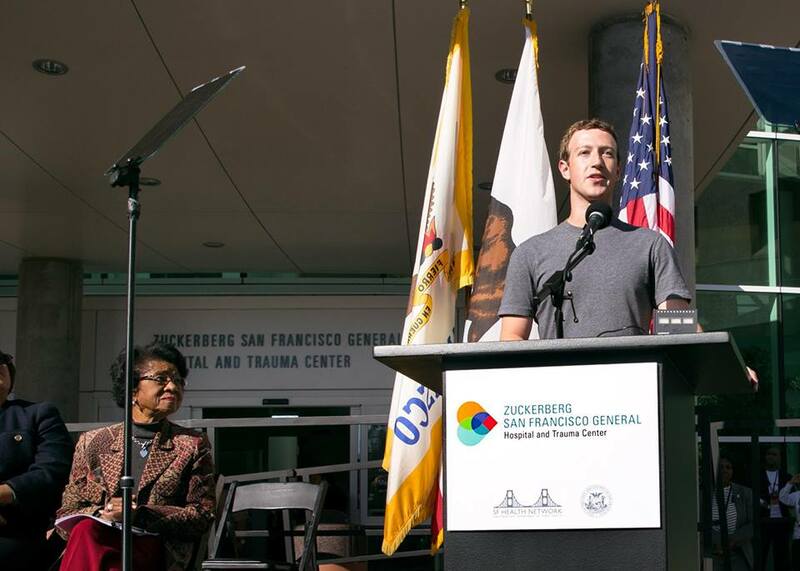 The Facebook CEO said more details about the donation will be released once he and Priscilla Chan return from paternity and maternity leave. Mark Zuckerberg, who Forbes estimate is worth some $46.8 billion, said he will remain chief executive of Facebook for “many, many years to come”. In a filing to the US Securities and Exchange Commission, Facebook said that Mark Zuckerberg “plans to sell or gift no more than $1 billion of Facebook stock each year for the next three years and that he intends to retain his majority voting position…for the foreseeable future”.